LAST year was the 25th anniversary of the murders of Dulcie September and Chris Hani. The publication of an in-depth investigation, revealing arms trade links and nuclear secrets, appears to have been under the radar, perhaps because of language issues and the fact the article was only published widely in the Netherlands. With ongoing public interest because of the parole application of Clive Derby-Lewis and the renewed importance of Dulcie September as a struggle icon, Medialternatives publishes extracts of the article on Youth day, June 16, 2014. Kissing changes everything, or does it? THERE is so much that can be read into a kiss. In politics kisses can signal anything from rapprochement with an enemy, to the birth of a party. 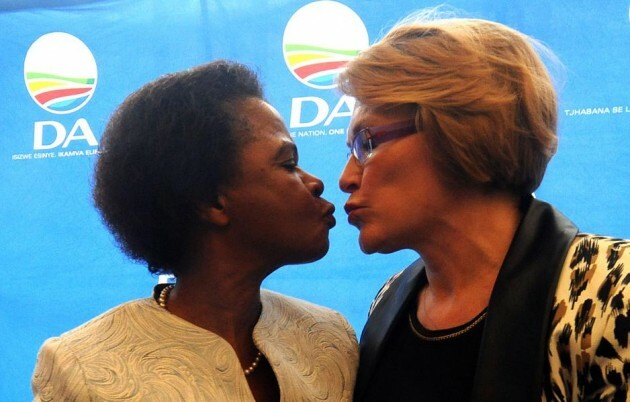 The historic kiss between Helen Zille, leader of the Democratic Alliance and Mamphela Aletta Ramphele, affectionately known by her acronym MAR, which coincidentally, also sounds a lot like mother, is going to plague political analysts for years to come. When the Democratic Alliance announced on national television that the life-partner of slain black consciousness leader Steven Bantu Biko was now their presidential candidate hopeful, the general public were stunned. A real ‘ game-changing moment for South Africa” as Helen Zille put it, however not everyone was pleased, least of all some members of AGANG, the political movement and party that MAR had spent the better part of a year creating. The press were quick to discount the kiss as a woman’s betrayal of her own movement, thus informing public opinion on the nature of such kisses before there was any time to reach consensus on what exactly was occurring so far as ‘kiss and tell’ was concerned. MAR has a unique brand of political lipstick that encompasses identity politics, gender relations and the active role of the citizen, and thus most Agang members were phoning into hotlines on South African radio wanting to give the woman the benefit of the doubt — a chance to explain herself — but her critics were having none of it, a literal field day, with the ANC characterising Ramphele as a “rent-a-black” and worse still, a “rent-a-face”. Former members of Congress of the People (COPE) who had had experienced their own party’s long-winded leadership crisis and who had then returned to the ruling party in disgust, rushed out opinion pieces, as an unappreciative press weighed in on the significance of the kiss. Was it contagious, did the result end up in a black and white political party with coloured offspring, and so it goes. Conflicting reports are now emerging, it would appear that the Gauteng branch of Agang has made plans to elect a new leader and ‘go it alone in the election’, while at national level, Agang social media is still inviting its members to attend regional meetings in which MAR will avail herself of the opportunity to outline her reasons for the decision and to place a roadmap on the table, which includes a programme of action based upon citizen benefits and the rooting out of government corruption. See who leads Agang? The Democratic Alliance may thus have jumped the gun in rolling out plans for an operational merger and integration of members, and there have been no discussions at grassroots level as to how such an integration or merger will occur if at all. Thus the kissing question remains, can MAR take the New Democratic Alliance into a coalition with her own movement, AGANG with a simple kiss, or is she now largely a ceremonial figure who has been co-opted by Helen Zille, who in reality has no plans to relinquish leadership of her own party? Will we see more such kissing opportunities with Patricia de Lille, and the black business lobby? Where does one line up, if all one wants in politics these days, is a bit of a peck? The former vice-chancellor of the University of Cape Town, and past director at the World Bank has a lot of explaining to do, but may still pull a rabbit out of a hat instead of removing it from Nelson Mandela’s ear. Indeed, she may not have to do all that much in terms of persuasion, since the AGANG party platform is not all that different from the Democratic Alliance manifesto, give or take a monopoly or two. Mamphela Aletta Ramphele could yet become South Africa’s Corazon Aquino, the woman who became the Philippines 11th President. South Africa may yet have its first woman president. UPDATE: Agang has affirmed that MAR is still the leader of the party, which has yet to merge with the DA. She is not a member of the DA but rather, the presidential candidate of an emerging coalition. THE principal author of South Africa’s Labour Relations Act, Michael Halton Cheadle is more than simply a professor at law. Cheadle, who began his career defending workers from the machinations of the apartheid system, metastasized from being a practitioner of labour law to a global economic player and international labour broker, with a directorship and shareholding in a human resources empire and financial services firm that literally sold workers rights down the river. From a notable career which began with support for workers unions such as the African Textile Workers Industrial Union (A-TWIU) and National Union of Textile Workers (NUTW) where he held an executive position, to labour fund management, and the establishment of the General Factory Workers Benefit Fund (GFWBF), Cheadle effectively ended up redefining human labour in purely monetary terms, first as a rands and cents equation, then as a simple cost to company, as labour was finally repackaged as a new form of capital. Between 1992 and 1994 Cheadle was an “Independent Legal Expert with National Manpower Communications” positioning himself at the centre of political intrigue with his appointment to “various commissions of enquiry and government delegations such as the ad hoc committee on the Bill of Rights”. Because of his close ties to the ruling African National Congress (ANC) party, Cheadle, who signs his legal opinions H Cheadle, was appointed as the special advisor to the Minister of Labour and soon found himself the “principal architect of the 1995 Labour Relations Act” according to an online biography. In March 1999 Cheadle was involved in establishing the Resolve Group, which until 2012 provided ”a suite of human resources and labour relations services.” In the process he created a total solution in workforce management. The Resolve Group included Resolve Workplace Solutions, Resolve Encounter Consulting, Tokiso Dispute Management, Converse Consulting, Mediaworks, Resolve Career Transition, CCI Growthcon and Resolution Logic, all involved in the employment, placement and management of workers and professionals. Services offered by the Resolve group included: Labour performance management, training programmes and services, private dispute resolution, recruitment and outsourcing, adult education and training, career transition and outplacement, psychometric testing and operational performance improvement. 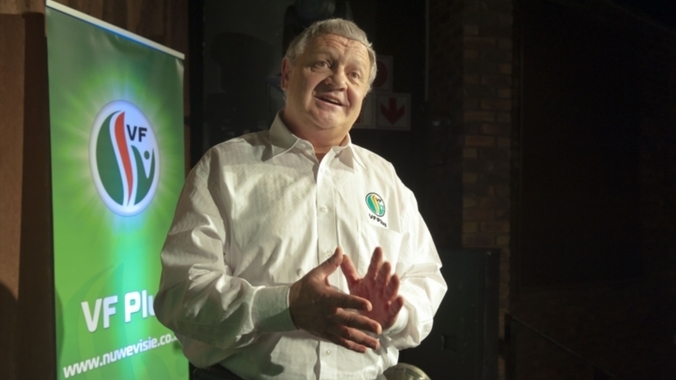 Directors of the company included ANC heavyweight Max Sisulu, the current speaker of the House of Assembly, who is nearing retirement, and CEO David Storey, a man with strong ties to the Discovery Group and other financial services companies. Cheadle remained an executive director at the company alongside David Storey and juggled his time spent seeing to the affairs at Resolve with a professorship and lecturing position at the ivy league University of Cape Town. Cheadle was thus a Professor of Labour Law at the University of Cape Town’s Law Faculty at the same time that he was a major shareholder in a number of business ventures and financial operations including law firm Cheadle Haysom and the Resolve Group. In 2012 the Resolve Group appears to have been bought out by Ernst & Young Advisory Financial Services. A press release issued by the company states: “We are pleased to announce that Ernst & Young has acquired the consulting interests of The Resolve Group, a Johannesburg-based Human Capital advisory firm.” It is unclear as to the resulting share structure, but the move came amidst controversy. The shift followed extensive criticism of Cheadle because of his failure to disclose information pertinent to the proceedings in a labour matter under his direct supervision, in which both his firms held a material interest in the outcome of events. * His flagrant disregard for fairness and impartiality in not recusing himself resulted in correspondence with the disciplinary committee of the Cape Law Society. He is now listed as Professor of Public Law at UCT. Cheadle’s political career might have easily seen his entering politics as an activist and his ascendency to parliament as a party representative of the ruling ANC, instead his chose to become an extra-parliamentary backbencher. His appearance on the bench as acting judge of the Labour Court was thus bound to raise eyebrows, the least of which is the conflict of interest that goes with having been the principal author of the document which would have needed to be interpreted during proceedings at the court. Instead of focusing on his professional duties, Cheadle sought out a more lucrative, but nevertheless parallel career path, one which would invariably present itself with all the difficulties and contradictions encountered by his possessing a directorship in a firm engaged in free enterprise at the same time that he held the directorship of a well-known law firm. Not satisfied with simply being an academic, or a party activist representing labour at the International Labour Organisation (ILO), Cheadle is now also listed on the website of the World Economic Forum, begging the question: Who is Michael Halton Cheadle? What is clear is that South Africa’s Labour Czar has leveraged his privileged position, one in which he declaims on such pressing and urgent topics as the need to change labour legislation, with the uncanny ability to also broker the negotiation and sale of the surplus output of labour and capital by government and corporate enterprise, both locally and internationally. Is it any surprise that following the events of Marikana, Cheadle also represents the interests of the state union federation COSATU as well as the World Economic Forum? Cheadle’s position at the World Economic Forum and the International Labour Organisation, including one committee tasked with making recommendations on the application of international conventions has seriously compromised his ability to serve either the Labour Court of South Africa or the Eastern Cape Division of the High Court. The business of drafting legislation should not be confused with the interpretation of statute, and both represent problems when it comes to the nitty gritty of business**. That Cheadle was involved in the outsourcing and management of workers at the same time that he was tasked with protecting workers interests at the Labour Court of South Africa, strikes one as beneath contempt. * NOTE: The author of this article has laid a complaint of judicial misconduct with the Judicial Services Commission. A complaint regarding the adjudication of a matter before the Labour Court of South Africa has been referred to the South African Human Rights Commission and the Public Protector. Proceedings for the impeachment of Michael Halton Cheadle are underway. ** In 1919 Jewish businessman Arnold Rothstein was accused of fixing the Baseball World Cup Series. He appeared before a grand jury. Although the state failed to a secure a conviction, the players involved were banned from the sport for life. Similarly, South African cricket captain Hansie Cronje was accused of match-fixing in 2000. He received a life-time ban but was not convicted of any crime. UPDATE: A corruption and forging of documents docket has been opened at the SAPS commercial fraud unit. The National Prosecution Authority is also in receipt of documentation and has opened a case for investigation. The case has also been forwarded to the Public Protector. Wildcat strikes were the key fighting strategy during the May 1968 protests in France, as too they were during the defiance campaign against apartheid of the 1980s, and early 90s. While the state may have changed, workers still find themselves trapped in the cycle of super-exploitation of labour, the result is Marikana. 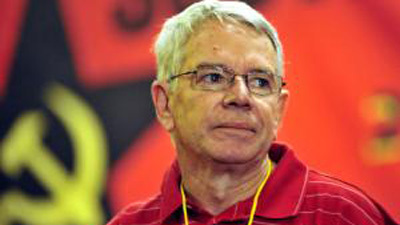 Jeremy Cronin, in his most recent missive in Umsebenzi Online defending the SACP track record with regard to the Marikana Massacre, attempts to explain away all the faults of the current system by blaming everything on the past, in so doing he painfully ignores the role of the state and his own party in unleashing violence and aggression upon our own people, in particular the working class of this country. The problem with Cronin’s mode of South African Marxist analysis is the way that persons deploying such polemic immediately assume some form of kinship with those on the receiving end of capitalist exploitation, while at the same time neglecting to widen their framework of analysis to accommodate changed economic and political circumstances. Instead of updating his analysis, Cronin accomplishes nothing less than a skillful deflection of the corporate brutality which has characterised the present regime and which will undoubtedly continue to impact upon our future and that of our children. Brushing aside the democratic massacre of 34 mine workers by a deeply unpopular government takes some doing, yet Cronin effects this form of intellectual slaughter by failing to adequately criticise his own government, ( lest he be subject to the kind of routine abuse meted out by proponents of state capitalism). Jumping into an historical precis of the material conditions which underpinned the legacy of the apartheid regime and which continue to impact on us all today, Cronin refuses to answer the most obvious of questions:- Why is it that more than 18 years after our first democratic election, this self-same extractive economy, based as he readily admits, upon super-exploitation of labour and capitalist accumulation by a corporate elite, is still with us? In examining the work of Harold Wolpe, the role of the Bantustans, the subordinated role of workers, the boss-boy system, the deliberate “tribalisation of labour” and the patriarchy of the informal settlements – the tragedy of state brutality which is once again playing out on our television screens – one can be forgiven for thinking that all that is needed is meaningful debate on the historical conditions. Cronin’s text book analysis of the situation however, bears no resemblance to the new reality of a Tahr square moment — a profound revolt by the people against super-exploitation of labour by the ANC-sponsored corporate elite who, having been tasked with ending labour apartheid, merely perpetuated the crime in order to reap the rewards of the free market. Blame for the massacre needs to be firmly placed at the door of the ruling alliance, and every party which has stood by while workers have seen the greatest erosion of fundamental human rights and freedoms since 1922 when General Jan Smuts bombed South African mine workers into submission. The right to strike, to withhold ones labour without fear of penalty, is not merely an idea, a quaint political slogan put there by a few well-meaning individuals, but a fundamental freedom underpinning our democracy. The wildcat strike action at Marikana – whichever way one construes the apparent lack of authorisation by a registered trade union – needs to be seen in the context of the manner in which our democracy is predicated, not simply upon the dictates of the few, but the collective will of each and every citizen to engage in direct action. This revolutionary freedom is not about gaining access to the ballot box once every five years, but rather about meaningful economic change — liberty and freedom for each and every individual, without which our democratic revolution would be nothing but a pipe dream. The mine workers of Marikana have chosen to vote with their feet against appalling conditions, putting down their tools and engaging in collective strike action – one needs to examine why it is that the SACP and South Africa’s union bosses have failed to register these votes? Is it because the large union structures such as NUM and COSATU continue to take their orders from Pretoria while supporting super-exploitation? Is it because the Labour Relations Act has been buried, for all intents and purposes, by a corrupt labour legal system in which the labour brokers have in turn become the judges? Is it because the nation’s political structures no longer reach to the ground, as the logic of patriarchy, and oligarchy of the Zuma administration, and successive ANC governments draws to its logical conclusion? It is abundantly clear where Cronin pins his parties support – not upon the masses who desire freedom, but rather upon the dictates of centralisation, bureaucracy, authoritarianism and the command economy in a corrupt state which blames workers for their own deaths, which labels unwanted strike action as “illegal” and which paints the spectre of “demagoguery” merely in order to deflect public opinion from enormous and insurmountable failings. All this while excoriating the press for the many problems associated with the growth of a new “labour aristocracy”, one which has effected control of our nation’s boardrooms and which continues to hold the economy in an iron grip.